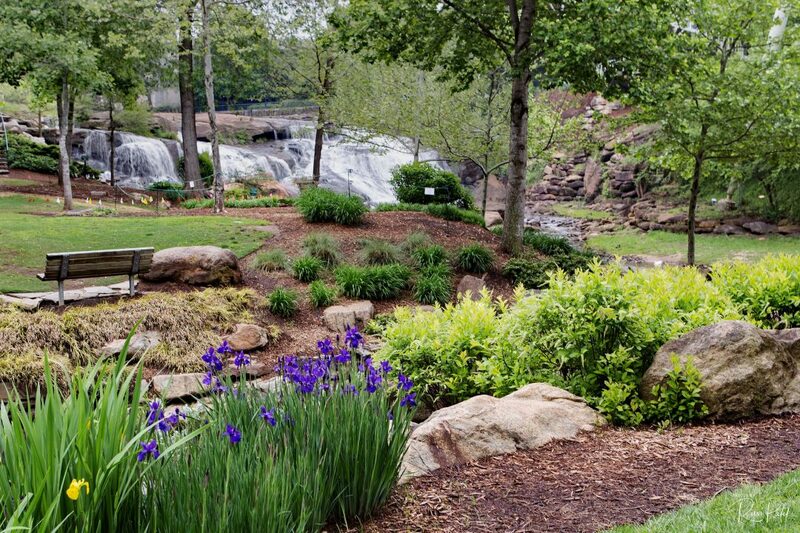 Far more than a nature lover’s paradise, Falls Park on the Reedy, located in downtown Greenville’s Historic West End, is one of Greenville’s (South Carolina) greatest treasures. The park serves as an oasis within the city – a place where people gather to work, play and celebrate life. A bench view of the falls in the Park ……. This entry was posted in Photography, Unusual Perspectives and tagged bench, Greenville, South Carolina, view. Bookmark the permalink.